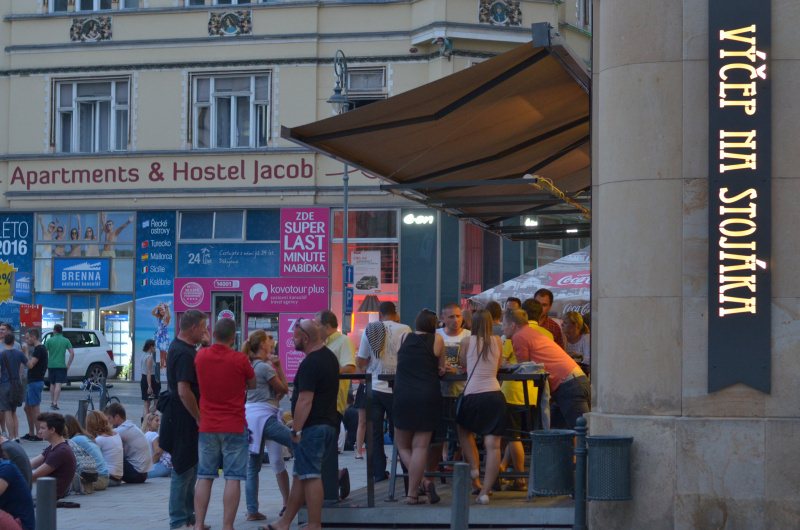 Brno is an alive city that gains on popularity especially among young population. More and more ex-students and foreigners settle here and create new interesting places and concepts. 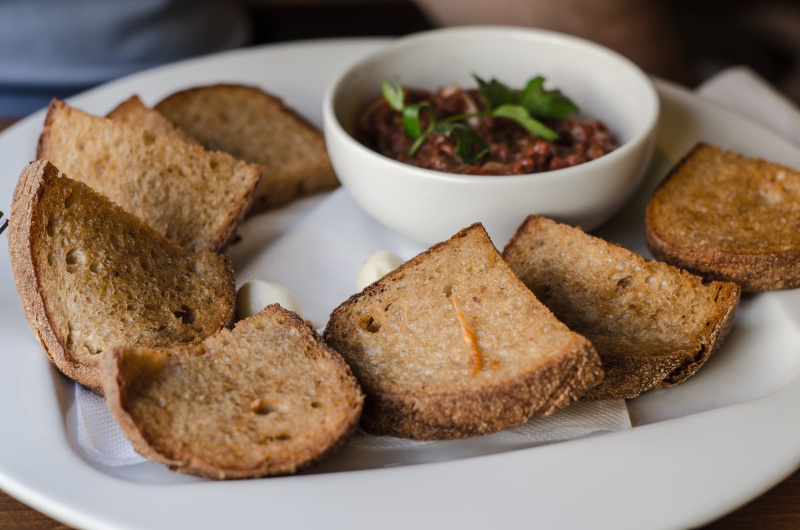 Nowadays, you can find very good restaurants, cafés and many interesting places to go out in Brno. 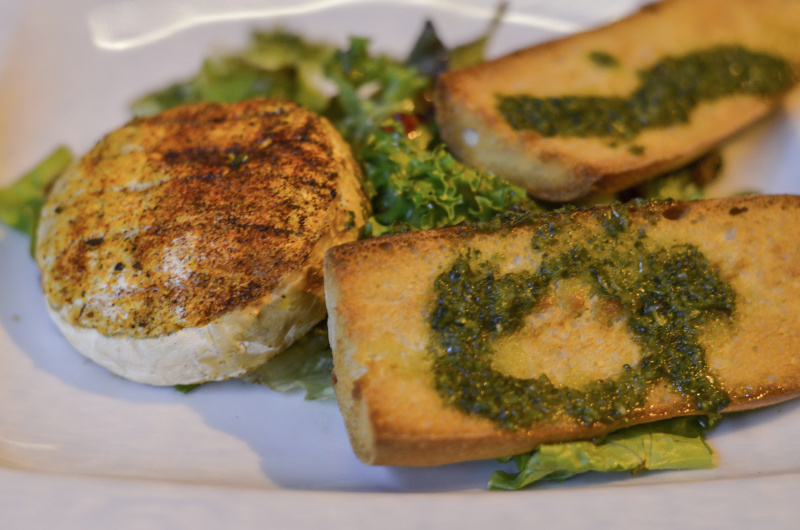 It is worth to come to Brno just to enjoy good food, nice people and the alive atmosphere. 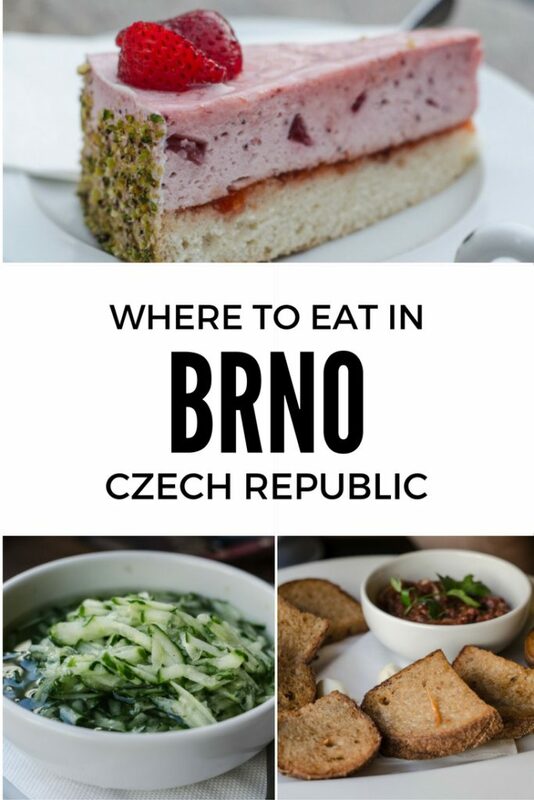 Here are few tips on where to eat and where to have a drink in the center of the city based on my awesome food experience in Brno to get you inspired for your future visit of this second largest city of the Czech Republic! Stopkova Plzenská pivnice (Česká 5, Brno) is a Czech cuisine with a modern touch. The service is very friendly and professional. 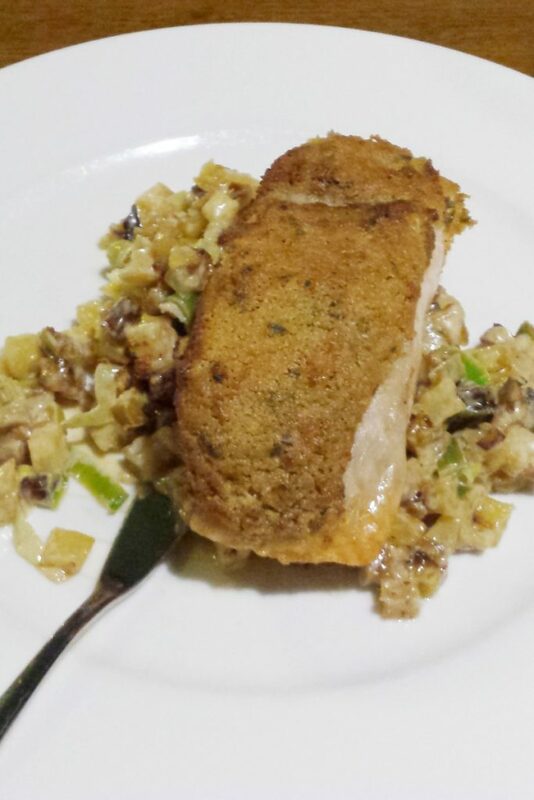 I took a grilled salmon in an almond crust with some creamy leek and baked potatoes. I think this was the best grilled salmon I have ever eaten in my life! 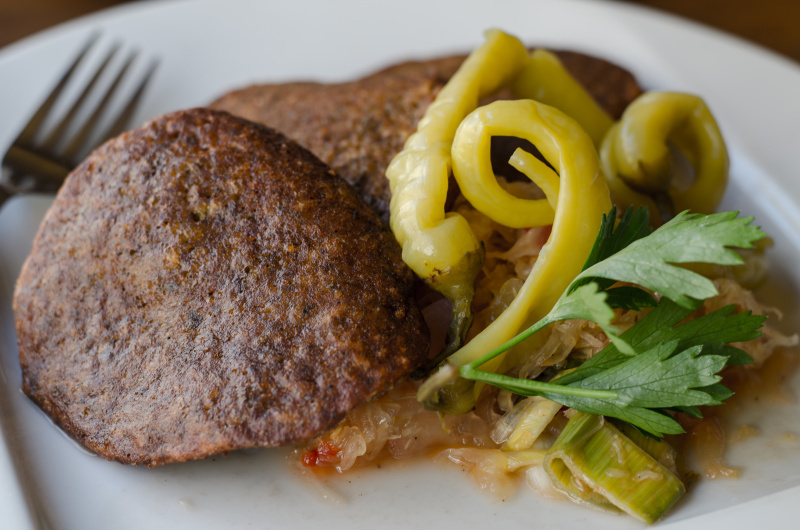 Seb got duck with cabbage and potato pancakes and loved it too. 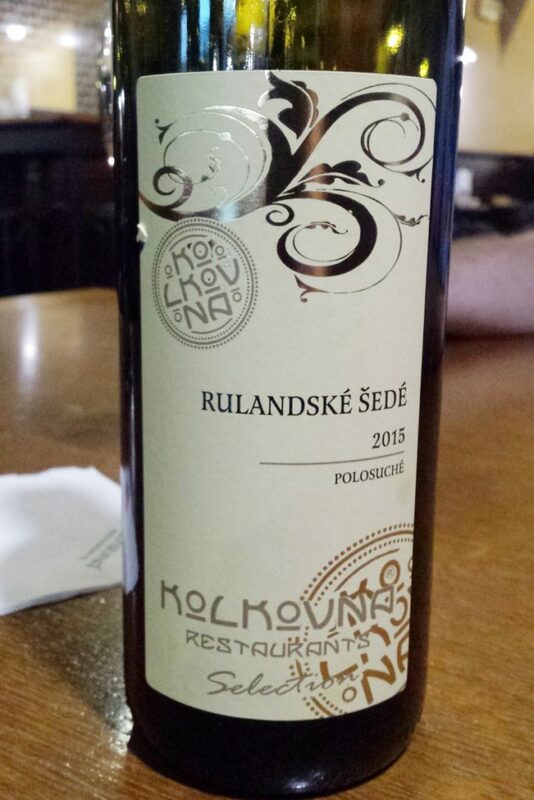 It was here where I tasted an excellent Moravian white wine – Rulandske šedé (Pinot blanc) that the restaurant has from a local producer. 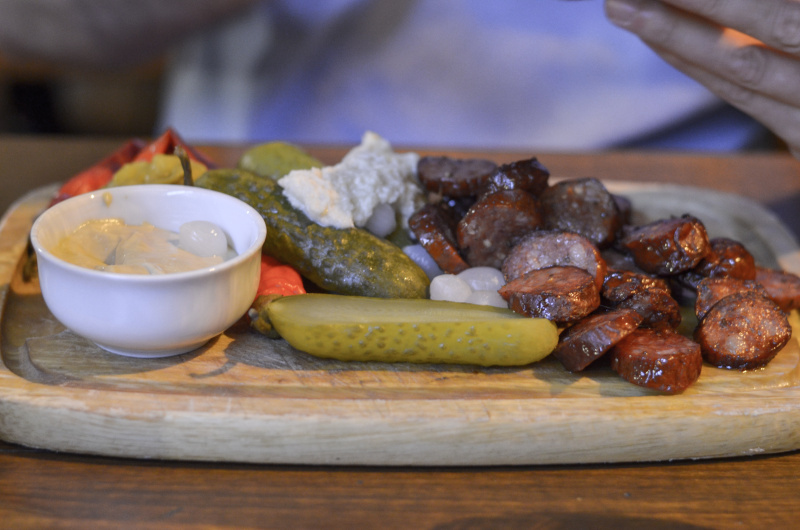 What I also loved about this place was the interior – it somehow reflects a modern Czech pub. U Třech Čertů (Starobrněnská 7, Brno) is a typical Czech pub, kind of restaurant where you eat good local food served in a good quantity. 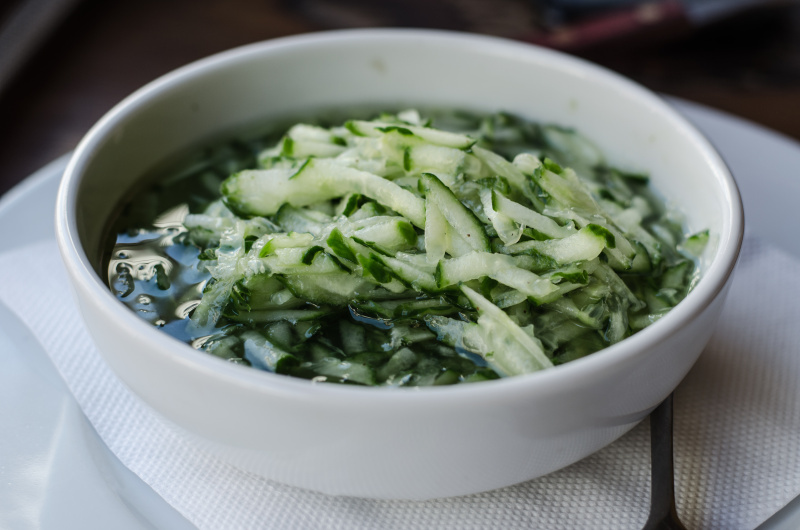 I ordered just “small meal to go with a beer” as I was not that hungry, together with a cucumber salad, and received the below. These 3 potato pancakes and the salad filled me as a big lunch. In the evening, we checked the same restaurant as Seb really loved their Czech food 🙂 in another location (Dvořákova 6/7, Brno). We ordered a bottle of fresh red wine Modrý Portugal which was a very good choice. For dinner, I had a salad with baked Hermelin (kind of Czech Cammambert) with cranberries and loved it! Seb took some sausage mix with pickles and bread and also enjoyed it. Kavárna Cosmopolis (Zelný trh 314/2, Brno) offers many homemade cakes to choose from. Do you prefer cheesecake, crumble cake, carrot cake or blueberry pie? 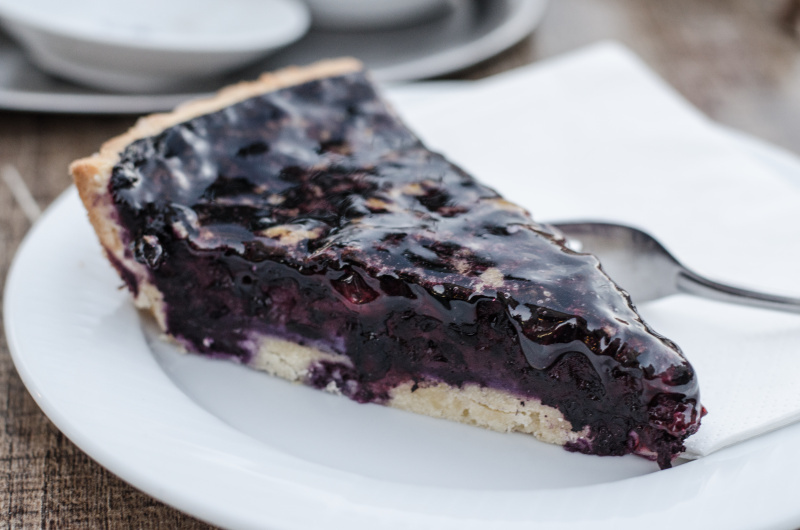 I got a blueberry cake made of the hand-picked blueberries in the forests nearby. It was delicious! Their strawberry cake was good as well, light and refreshing. They have some good tea and coffee here as well. 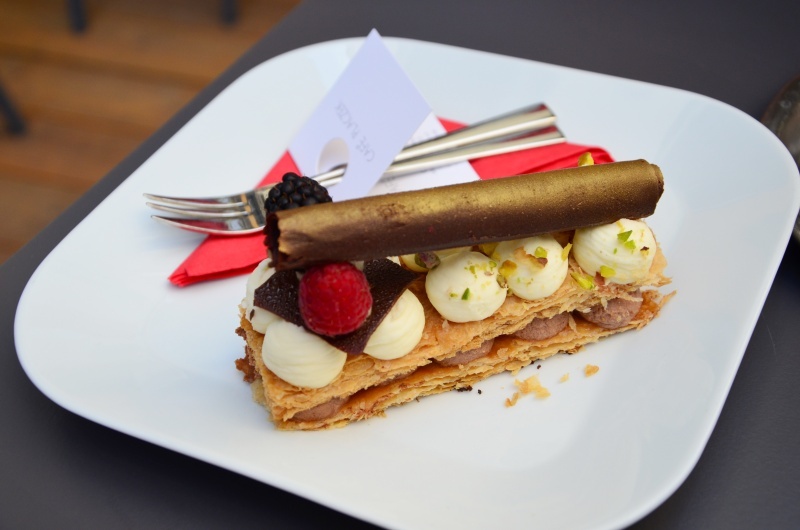 During sunny days, you can enjoy your cake on a terrace with a view on the Zelný trh quare. 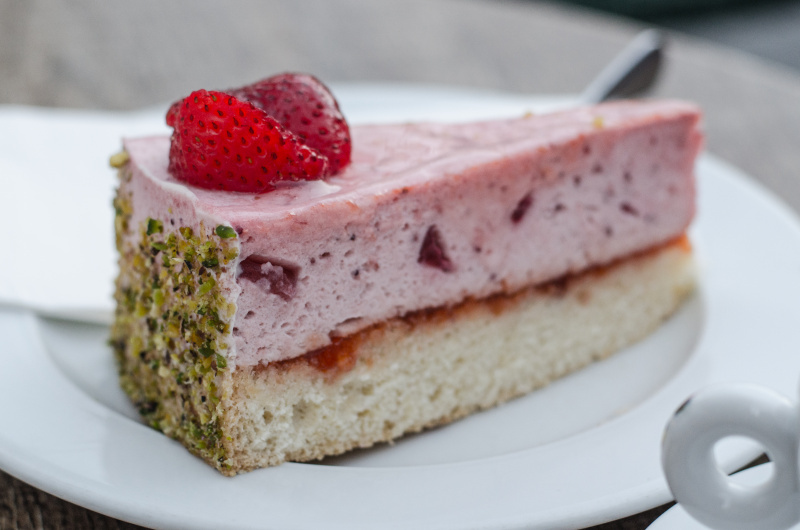 Café Placzek (Minoritská 470/4, Brno) is a pleasant cafe offering homemade cakes prepared with love from good quality ingredients. This is what we had there two years ago – millefeuille with mascarpone and fruit, so good! 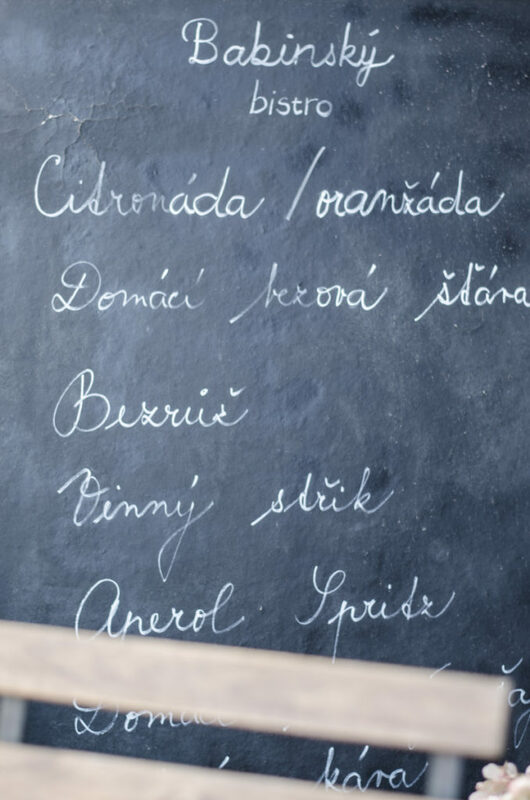 Rudolf Jelínek Degustation Bar and Shop (Jezuitská 582/17, Brno) is a place where you can try all the Jelínek drinks. 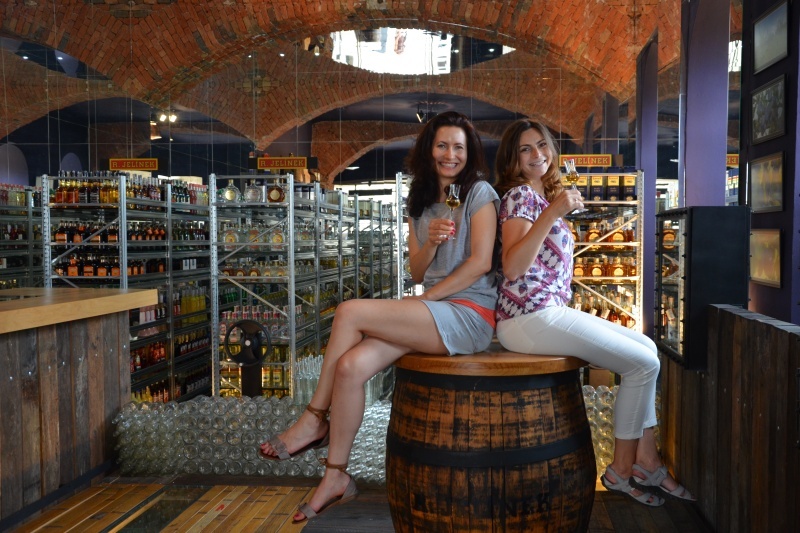 Their main focus is Czech brandy called Slivovice which is made of plums. We also tried their honey brandy which was very good! Veselá Čajovna (Happy Tea House, Kobližná 5, Brno) is just few steps from Bar, který neexistuje. 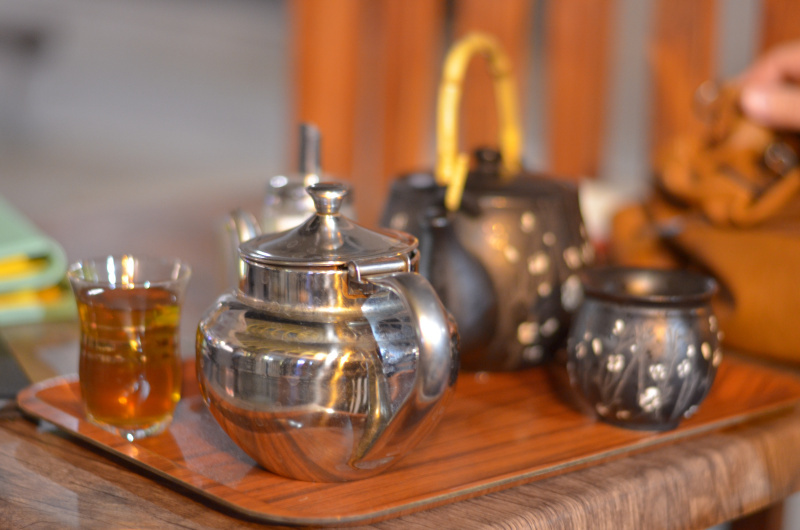 They have huge choice of tea (we had a mint tea and pina colada tea with a rum – the last one surprised me well as I would never thought of adding rum into fruit tea) and shisha. You can find a cozy place in the interior, but when the weather is nice, you can enjoy your shisha on their terrace in the middle of the alive street where you find other bars too. 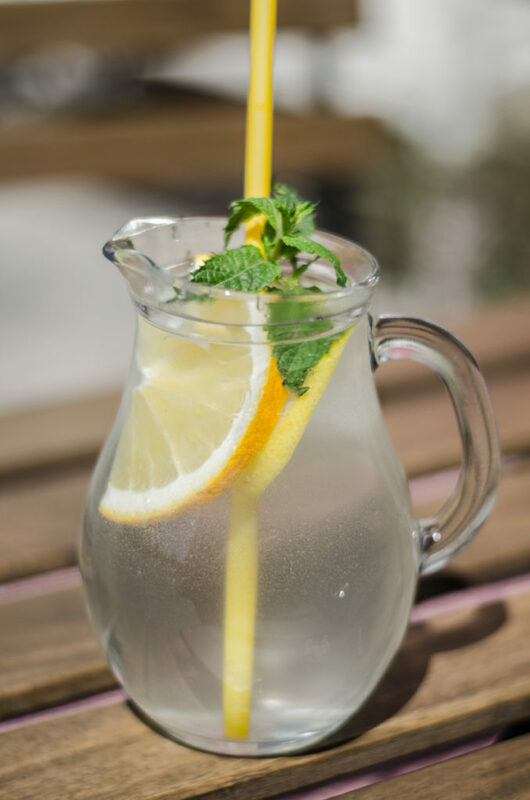 Tip: If you get to visit Brno (or any other city in the Czech republic), apart from the Czech wine or beer, you need to try the homemade lemonades! These are usually the best refreshment in the warm sunny days. 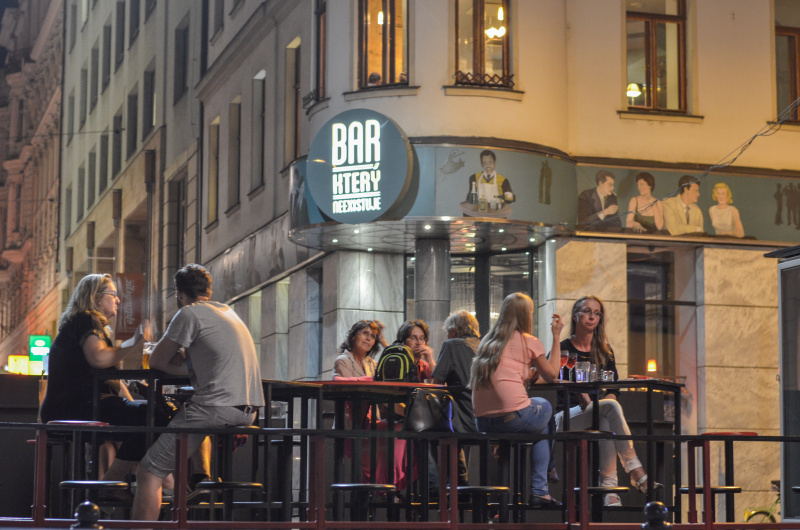 In Brno, you can get it in many bars, restaurants or bistros!